← What happens when the builder goes off-piste? 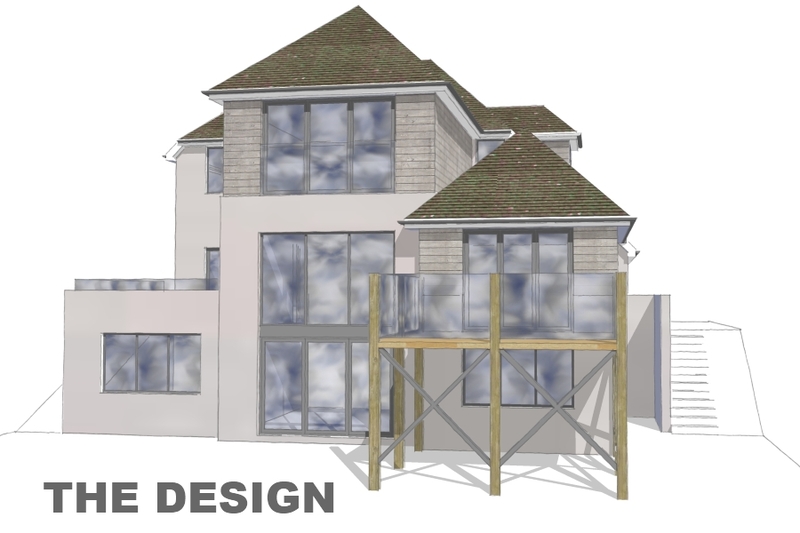 We have just gained planning permission for a multiple level contemporary extension on a detached house in Alverstoke, Gosport. The house originally built to an individual design is located on a deep plot with a significant change in level between the front garden at street level and the rear. The garden to the rear of the house drops away with a steep bank which meant that linking the ground floor of the property with the lower garden level was crucial to the design. Despite the long rear garden, the depth of the house is quite small with the existing kitchen and living rooms running front to back at ground floor level with the overall depth of the property from external front wall to the external rear wall being just 5.2m. The shallow depth of the house therefore provided much scope for extending to the rear. The brief required us to create additional living space, two additional bedrooms, alterations to create a social kitchen and a clever way to link the house to the garden. Our solution creates a cellar which is level with the rear garden and a double storey family room to link the existing ground floor with the garden. 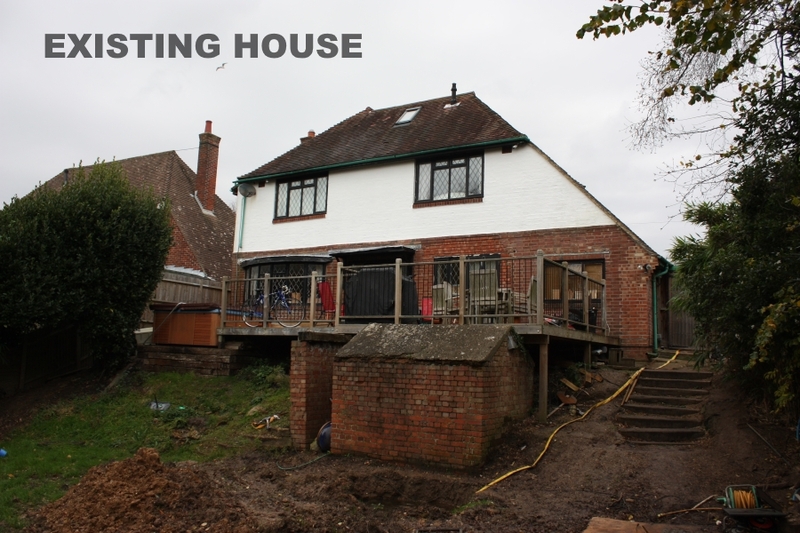 Working with the existing hipped roof design of the original property, our design introduces three additional hipped roofs to the house with new walls in render and timber. New bedrooms are created at first floor and cellar level, a timber deck and patio area are accessible at ground floor level with the patio area being cited above the cellar guest bedroom. Our design rearranges the ground floor layout and opens up the rear rooms to a two storey rear garden room that links the house to the garden. Our detailed design smoothed the path for gaining planning permission. 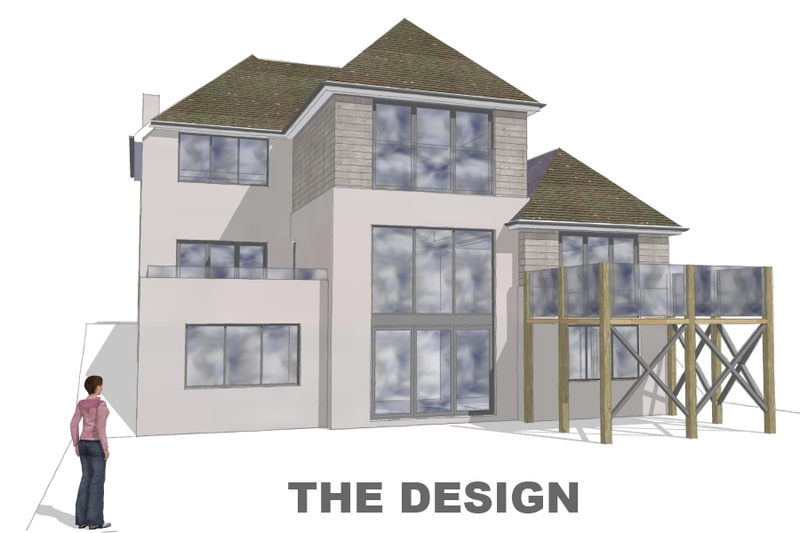 This entry was posted in Extending, Exteriors, Planning and tagged architectural services Hampshire, architecture Hampshire, contemporary house Hampshire, planning Hampshire. Bookmark the permalink.